This is best exemplified by Barbershop Punk, a documentary focusing on the debate concerning net neutrality. There's a handmade feel to the film, co-directed by Georgia Sugimura Archer and Kristen Armfield. It does a great job of explaining a subject which I've long had difficulty understanding by starting where the debate originally began. 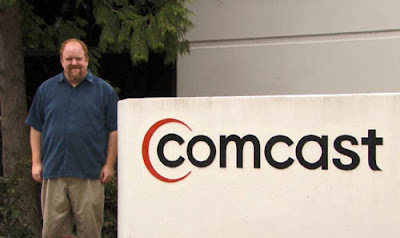 Robb Topolski's realization that Comcast was interfering with his uploading of barbershop quartet recordings prompted his investigation into the telecom giant's practices. This relatively benign incident revealed how deregulated the telecommunication industry has become as it shifted away from dial-up service, where the common carriage laws that governed phone companies could be applied, to broadband service. An over-reliance on foreboding music and irrelevant images of storm clouds nearly pushes Barbershop Punk in the direction of propaganda. The talking head interviews featuring the likes of Janeane Garofalo, Henry Rollins, and other activists from both sides of the net neutrality war make the film sufficiently fascinating without needlessly dressing it up. The material is presented in a clear, concise manner by all of the interviewees, and Barbershop Punk should be of interest to anyone concerned with the ethics of commerce and its impact on free speech. 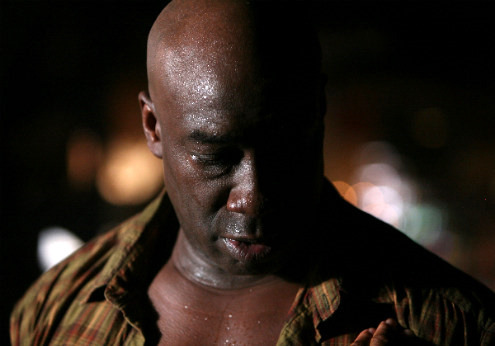 A strong central performance by Michael Clarke Duncan enlivens the redemptive Black, White and Blues. 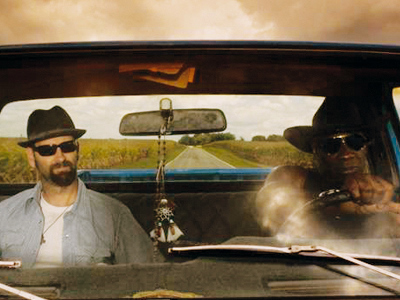 Built around a buddy pairing between him and unknown Morgan Simpson, the road movie looks at alcoholism and the way its poisonous aftereffects touch not just the addict but all of those in his sphere of influence. It starts out in TV-movie territory, mostly because the self-conscious Simpson is miscast as the lead (he wrote and produced the film so there was probably little wiggle room there). But director Mario Van Peebles (New Jack City) brings a classic, Eastwood-style earnestness and symmetry to the film, which like Clint's movies make the most of subverting expectations regarding both race and small-town thinking. A strong regional flavor (the movie was filmed in Nashville), supporting turns by Tom Skerritt, Taryn Manning, and Luke Perry (! ), and liberal helpings of blues music helps this throwback to classic, pre-1960's American film grow on the viewer.